Perhaps you feel crushed with the burden of providing for a family. Maybe you feel exhausted trying to please a persistently disappointed mate. It might be that you feel buried in duty, unglamorous tasks, anonymity, and the terrifying reality that when you look ahead, you don’t see anything changing for a long time. You pray to God for change, for deliverance, for anything to be different than what it is. Your spouse doesn’t change. Your kids don’t change. Circumstances don’t change. And you feel crushed. The champion of the New Testament Holy-Spirit inspired living; the man who wrote that we are “more than conquerors;” the apostle who seemed to have an answer for every question and a biblical assurance for every doubt found himself in a situation in which he felt he was being torn apart so much so that he despaired even of life. He had been attacked; betrayed by those he thought loved him most; his loving motives had been questioned as a lack of concern or cowardice; he had to speak a hard truth to a people he loved a whole lot, knowing it would cause them great pain; he felt like the entire world was being pulled away underneath his feet. Have you ever felt the pain of betrayal? Have those closest to you recently questioned your motives—not just what you did, but why you did it, as if you deliberately wanted to hurt them? Kids do this to their parents all the time; sometimes, spouses do it as well. Do you find yourself growing weary having to speak the “hard word” again, to the same loved one, because you know that no one else will? What we discover—what Paul discovered—is that more than God wanted Paul’s situation improved, God wanted Paul improved. And not just “improved”—transformed. As we’ll see in just a moment, He ultimately wants him to smell differently. There is something about a cauldron that produces a depth of faith that releases a certain Christ-likeness. Nothing else matches it. Jesus, the suffering servant, releases Himself into His own suffering servants. Some will see the drudgery of your life, your acceptance of your daily duties and responsibilities as particularly unappetizing. They’ll say to themselves, “If that’s true faith, I don’t want it.” They want a formula that will fix their problems instead of transform their hearts, because the process of transformation isn’t easy, comfortable, or happy. But there will be others—called of God—who will look on your quiet life, your persistence, your faith, your resignation toward God, your surrender, your perseverance in love and they will smell…Him. Deep calls to deep. Superficial tends to call out superficiality. Seriously—look at what many young adolescents focus on, what they think really matters, and how because others value such silly things so much, their entire group (and those who want to enter their group) begin valuing those same silly things out of all proportion. We cannot “argue” someone out of their superficiality. 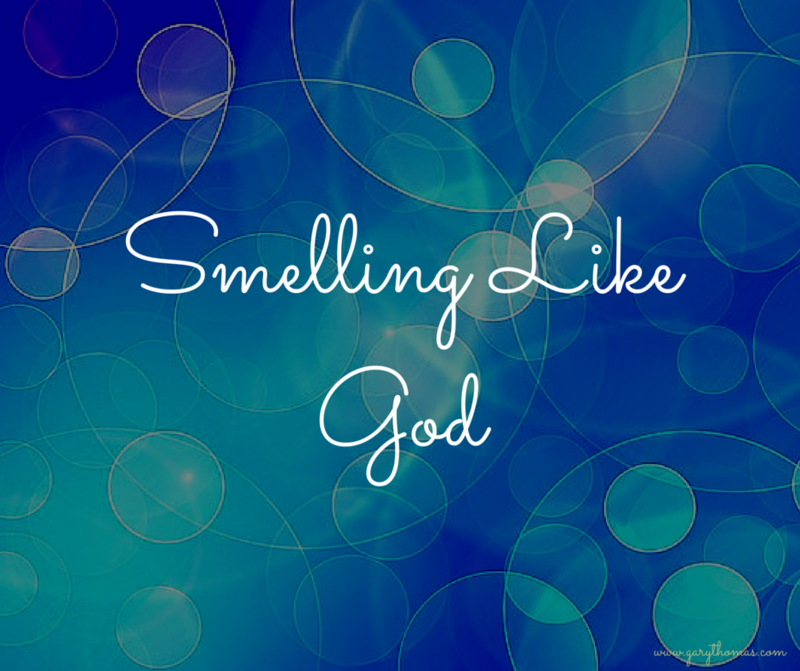 All we can do is pursue the depths and see if, when they “smell” God in our lives, God gives them the grace to follow. So, if you feel crushed, forgotten, ground down, just know this. It’s not about how you feel right now. It’s about how you’re going to smell tomorrow. God is doing something. He’s seasoning you. Trust Him. A great read and so timely! thank you Gary. Perfect!! (after a day like today). Thanks, Gary! You have no idea how timely this post is for my husband and me. Thank you for writing with the frangence of Christ that makes us want to follow even closer through this valley. God bless you! 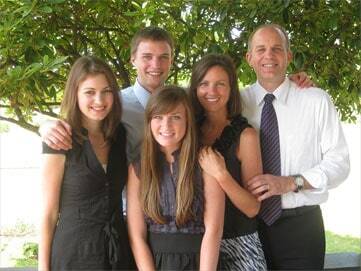 Lord, thank you for affirming to Debi your presence and guidance through this difficult time in her life. Let her receive it as a spiritual embrace, and give her strength and joy as she follows you. In Jesus’ name, Amen. Hi Gray, not about this blog. I just finished the 2 week devotional through Gateway Bible. It was great, I also got my friends to reading it daily. How you find all those words is beyond me. You write books, blogs, daily devotionals etc. yet you manage to still make each one special in its own way. It was a blessing the day my pastor/counselor had me read the first Sacred Marriage 3 years ago. Thank you for sharing your gift of words with the rest of us. I am going to order the daily devotional. I like the fact it’s a year long one. A lot of them I’ve seen are only 30 days. I notice there are 2 or 3 of them are they all different or just revised? Devotions for a Sacred Marriage and Devotions for Sacred Parenting each have 52 devotions and both were completely new, when written. My daily devotional, Simply Sacred, is a compilation book, distilled from the previous 13 books. Some had to be adapted as a stand-alone entry, but none of them were written “ground up” for the stand alone devotional. Simply Sacred thus has entries about parenting and marriage, but even more about life and spiritual formation in general. As for where everything comes from, I’d appreciate your prayers. I pray all the time, “God, please keep filling the basket so I have something to hand out.” I’m very grateful for your following and for your referrals! Thank you for continuing to enrich our lives- marriages, with the gift Christ has given you! Our 43 years married are growing better if not easier but so thankful for the Lords ongoing transformation! The Oregon coast in July… Excellent planning! So beautifully said Gary! Thank you! Excellent . Thank you so much. Absolutely stunning, Gary! Just what I needed! Why is it always so hard to trust God? I constantly fail at this and only afterwards, when I look back, do I see God’s hand and then feel bad that I didn’t trust in the first place. Trust – so very, very hard for me to do. Have faith like a little child – if only it were so easy. One of the reasons I called my personal blog Fragrance of Marriage is because a good fragrance tends to permeate everything, and everywhere, in one’s life. I get what you’re saying here and I love it. I just need to keep working on trusting. Great thing to read first thing in the morning. May that fragrance be ours. Thanks much Gary! Thanks for reading Bill. Enjoy the Bellingham summer! What another wonderful entry! God has given you a great gift to reach others and strengthen marriage in this age when marriage and family are being attacked from all sides. And, perhaps not coincidentally, today is the Feast day of Saint Paul!